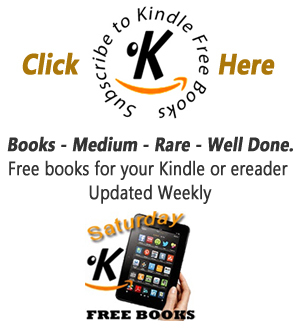 Kindle free books: Good news for the English speaking expat. One of the best things about owning a kindle if you live abroad, is that you no longer have to rely on visitors bringing you over books to read. And when you go back to your native country, you don’t have to do the rounds of library sales and bookshops in order to find something to keep you reading for the months ahead. We’ve all done it. A trip back to see the family and the car and hand luggage weighed down with books. When you get home, you then have to ration yourself so you don’t read them all at once. The kindle has changed all that. With the world’s library literally at your finger tips, the opportunity to read many of the kindle free books is available to everyone. With the range of free books and latest best sellers available, the overseas reader is suddenly free to read what they like and when. However, there have been problems. Many English speaking customers who live outside of the UK have experienced problems with downloading books from Amazon.co.uk. My kindle keeps sending me to Amazon US and I cant download any books. I live away from the UK and can’t download English language books to my Kindle. If these are the sort of problems you are experiencing, do not despair. It is easy to change but does not seem that obvious at first. You will need to have a British bank account because you pay for your books in (GBP) sterling. 1. Sign in to your Amazon account and go to Shop all departments/kindle/manage your kindle from the drop down menu on the left. 2. In the section “manage your kindle” On the left hand side of the page, you will find “country settings”. Change the “current country” to the United Kingdom. 3. Choose an existing home address from your Amazon.co.uk account or enter a new one. Amazon change the country settings for people outside of the UK, probably to be helpful. However, just because you are in another country, it does not mean that you necessarily can or wish to read books from that country. International orders default to the USA but this can in most cases change this to the country of your choice.